Plastering wood is possible but you need to prepare it properly first. Plaster will not properly adhere to wood on it's own – so a physical key is needed. You first need to fix either metal lathing or wooden laths to the timber. Unless you have to, or want to stick to traditional methods, Expanded Metal lathing (EML) is generally the easiest option to use. Plaster doesn't stick to traditional wooden laths sufficiently well – a physical key is needed. This key is provided by the plaster being pushed through the gaps in the laths to effectively hook onto the strips of wooden lath and when dries partially shrinks and hardens around the wooden laths. Traditionally a key would be provided by chopping the timber to increase the surface area and make the surface as rough as possible to ensure the plaster grips. Yet this process is not always that reliable so if you need to plaster wood - metal lathing can be used. 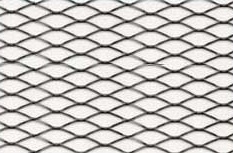 Comes in a variety of sizes - in sheet form 2500mm x 700, or in rolls with varying from 50mm wide to over 200mm. 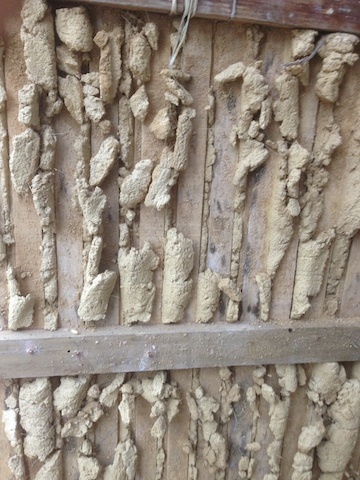 The EML is providing a key for the plaster to adhere to and so needs to be adequately fixed to the timber with galvanised nails, screws or staples. If plastering over wall plates or wooden timbers built into the wall then ensure the EML is sufficiently wide to slightly overlap onto the masonry to reduce the risk of any cracks developing. Galvanised Expanded metal lathing is widely available and suitable for most internal work - plastering over wood and studwork walls. Only if there are long spans between supports does Hy-Rib need to be considered. 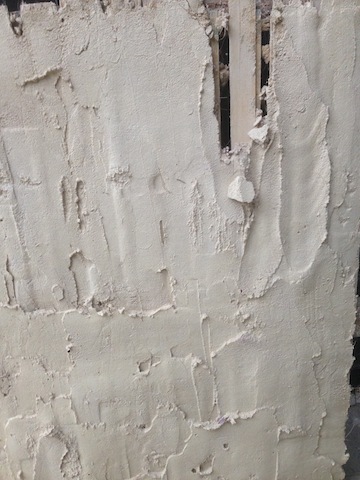 The use of hair will help strengthen the plaster and prevent too much plaster being pushed through any gaps and breaking off.